Depression? Or Are you Co-Co Nuts? 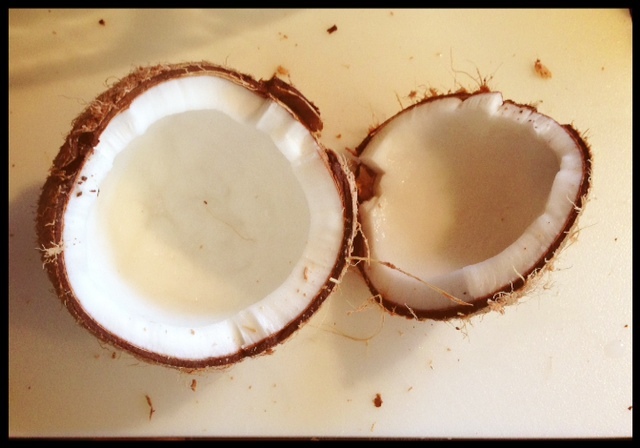 Coconuts and coconut oil have SO many health benefits. Once thought to be a “bad fat” – this seed is great for your brain! …and can prescription drugs FIX depression? After being antidepressants at almost every specialist I went to see this past year, I began wondering just WHY I was being offered something that clearly was not my problem? After all, none of the doctors I went to see were even psychologists. Why were they assuming I was depressed? But HOW and why did that equate into needing to take a medication that would have only masked the deficiencies within my system? It didn’t. It wouldn’t. It couldn’t. Over and over again, I would refuse to take these medications – because deep in my heart I knew I wasn’t depressed. In my mind – depression was something where you didn’t want to get out of bed … not that you were in physical pain and you COULDN’T get out of bed. It was something where you didn’t have a will to live. These pills can have many side effects, not to mention, their lack of effectiveness and dangerous side effects. Some people I know have attempted to go off of these meds, only to be hit with withdrawal symptoms of those who take illegal substances. If you weren’t depressed before, you might be now. Here’s some food for thought on the matter: ALWAYS look at the side effects before you agree to taking a prescription medication. ALSO, look into any nutritional healing before taking the medical route when it comes to how you’re feeling. It’s HIGHLY probable your body is missing something that it needs – which can throw off hormones, your immune and endocrine system, your brain function, and cell regeneration… among many other things. We are what we eat isn’t just a cute little saying – it’s truth. When our body and brain are starved… it can have an effect on any number of aspects of our system. This video interview from 60 minutes shares some interesting information regarding a book titled “The Emporer’s New Drugs”, where author and doctor Irving Kirsh shared about his studies involving antidepressants and the mildly depressed. The number one thing that actually helped – was mild exercise. There’s one clue on how I knew I wasn’t depressed. I was getting plenty of sleep – and I WAS huge into exercise. Praise be to God I didn’t take what they were selling! I would be that much further from being well. Personally I believe the same types of toxicity that causes cancer and auto immune disease is the culprit for many neurological issues as well… Do what you can to get it out of your life – so you can be healthy for HIM. Posted on April 14, 2013, in Celiac/Gluten Sensitivity and tagged Antidepressents, depression, healthy for him, Irving Kirsh, medication, natural helps for depression, The Emporers New Drugs. Bookmark the permalink. 6 Comments. Interesting thoughts there. Doctors seem to be a little too quick to prescribe anti-depressants at times it seems. OH—- AMEN– AMEN — AMEN— AMEN– AMEN— I HAVE SOOOOOOOOOOOOO MANY CLOSE FRIENDS WHO LIVE ON ANTI-DEPRESSANTS– & OR LIVE ON BOOZE- & JUNK FOOD!!! AND WONDER WHY THEY ARE SICK ALL THE TIME!!!!!!!!!!!!! YOU CAN ONLY BLOG THE INFORMATION & PRAY THEY READ THE INFORMATION & THE LIGHT GOES OFF IN THEIR HEAD & THEY WANT TO CHANGE THAT WAY OF LIFE!!!! AND THAT THEY WILL KNOW THERE IS MORE TO LIFE THEN THAT LIFESTYLE– & THEY CAN CHANGE & CHANGE THEIR LIFE FOR THE BETTER!!! Be careful with big blanket statements. There are cases in which antidepressants are the best solution. Encouraging people to defy their doctors and self-treat can lead to serious tragedy. There’s no one right answer for all illness. Just my two cents. In my case, healthier eating and exercise weren’t enough. Stress and OCD tendencies were making me so unstable that I couldn’t keep food down – I really, really didn’t want the pills. But I’m worlds better today. I still eat organic, raw food and I still exercise in hopes of weaning off antidepressants. But for now, I antidepressants to keep that good food inside me.